If you're looking for the personification of the American Dream, it can be found right in our own industry, in the person of Paul Tchang. 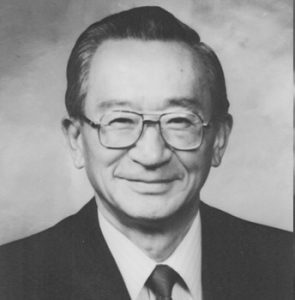 Having left his homeland of China and arriving on our shores at the young age of 17 in 1941, Paul quickly demonstrated his desire to succeed in the land of opportunity. After receiving his bachelor's and master's degree at Massachusetts Institute of Technology, he went on to earn an MBA at Harvard Business School. In 1955, Paul became a U.S. citizen, and opened up his first construction company in Stamford, Conn., where the harsh winters and being considered an outsider didn't bode well for success. A year later he moved out west to Palmdale, CA., but soon discovered that he couldn't compete against the larger Los Angeles firms, so he moved his operation south to San Diego. In 1956, his company, Techbilt, purchased its first piece of undeveloped land in San Diego and built a 100-unit housing development, offering entry- level VA/FHA homes starting at $11,000. From there, Techbilt provided more quality starter homes throughout the San Diego suburbs, filling a much-needed void for San Diego homebuyers. Over time, the company expanded its portfolio to include upscale developments. In 1966, Techbilt partnered in the creation of Lomas Santa Fe Golf Course and 1,000 homes in the Lomas Santa Fe community. A few years later, in 1969, Paul acquired 300 acres on the slope of mt. Soledad in La Jolla, a property thought to be too risky for development. That notion was quickly disproven, as Techbilt developed La Jolla Alta, a custom home enclave complete with recreation centers, tennis courts, swimming pools and nearly 100 acres of open space. Under Paul's guidance, Techbilt has built or developed nearly 15,000 homes and lots from modest entry-level dwellings to lavish showcases, giving people from all walks of life their own personal version of the American Dream. To help preserve the growth and integrity of the homebuilding industry, Paul has held a number of positions with industry organizations, among them: the BIA San Diego Board of Directors, which he served for over 20 years; Director of PCBC, an officer and director of the CBIA; and Director of San Diego Chamber of Commerce. Paul has also been active in preserving the rights of the building industry through two landmark Supreme Court cases, regarding the ability of builders to conduct business. The Young blood case established the builder's right to a Final Map when he/she has performed and satisfied all the conditions required in a Tentative Map, despite interim political changes. The Woodward Clyde case determined that a participant cannot settle a case with a nominal sum to the detriment of others in the case. As a result of his efforts in these landmark cases, Paul received the Lee Hubbard A ward for outstanding achievement in aiding the industry through political process. Now in his sixth decade of doing business, Paul still works six days a week, with the same determination he exhibited almost 50 years ago. Recently, he strengthened the company's position by diversifying into the industrial market in the fast-growing San Diego communities of Carlsbad and Poway. His daughter Jenny, who is Techbilt's Director of Sales and Marketing, and son Ted, who serves as Director of Finance and Industrial Projects work side-by-side with their father to continue his legacy of quality building. ​Paul Tchang is truly an inspiration who has ably demonstrated that in America, what you can conceive, you can achieve.